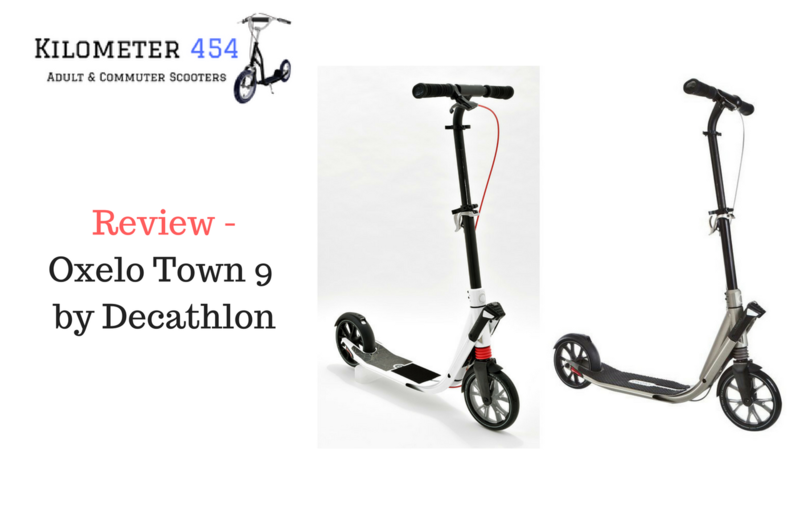 This Oxelo Town 9 Adult Kick Scooter is designed for the adult, commuter scooter market and is sturdy, solidly built and designed for frequent use. Unfolds and folds in 1 SECOND thanks to the patented “EASYFOLD” technology. You no longer have to carry it! Effortlessly transport it in TROLLEY mode. Front suspension and dampeners on the rear wheel axle. Second brake on the handlebar, just like on a bike! 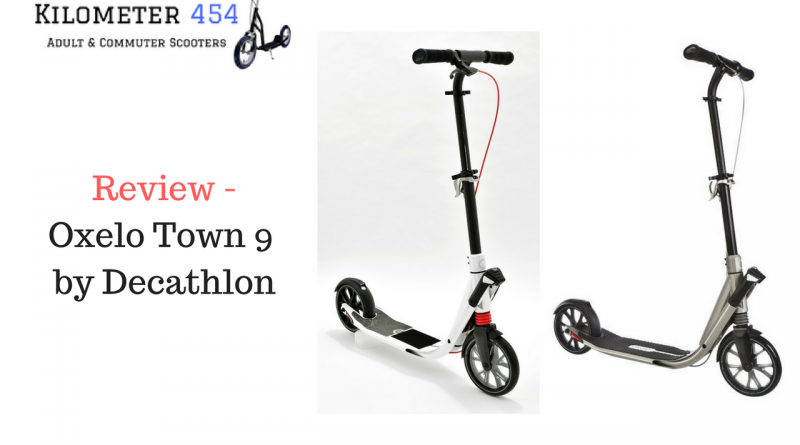 The Oxelo Town 9 is the most recent addition to the Oxelo range and has the largest deck to date. 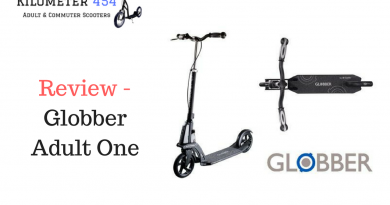 It comes with a rather nufty secure park-and-lock feature that allows your scooter to be locked to a pole securely without worrying about theft. 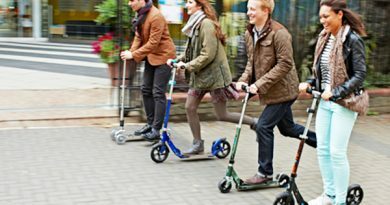 The way this works is quite clever, it’s a handlebar feature that lets you wrap a folded scooter around a pole (like you would on a bike rack / store) and then simply lock it with a padlock. 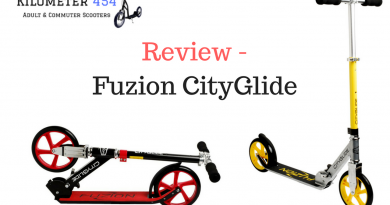 With both rear friction and front handlebar brakes it’s built for maximum convenience and it’s innovative trolley mode means you can roll it rather than having to carry it. 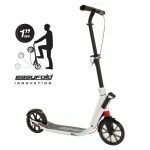 Being able to transport in “Trolley mode” is simple, you just fold the scooter and then tow it like you would a suitcase using the front wheel, though the scooter is light enough to carry at only 5.9kg – it is the heaviest model in the current Oxelo range. 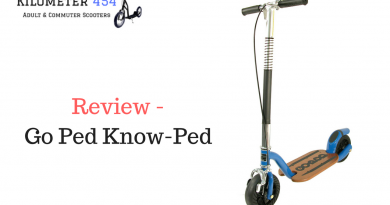 Front suspension and a rear wheel dampener are upgrades from the Oxelo Town 7 model. Color choices are titanium and white, also a blue but appears to be limited availability.